Acne is one of the skin infection experienced by many teenagers. This disease usually appears on the face, so that the very appearance. although very provoking, do not try to squeeze the pimple, because it can cause skin infections. Indeed, many drugs sold in whelk pharmacies or drug stores, that we can use to cure this disease. In addition also many alternative methods of healing offered. One is by using medicinal plant / herbal. For the purposes to make an anti acne herbal remedy, is required some type of medicine plant like Sambiloto (Andrographis paniculata), and aloe Vera. Prepare Sambiloto powder,cold rice powder, norit powder, and aloe Vera meat leaves. All materials are blended, and stirred evenly, and then be smeared on the face as a mask. Leave for 30 minutes or until dry and then basuh face with clean water. Do 1 time a day. Sambiloto grow wild in the open, as in the gardens, river bank, a empty land that is little humid, or in the yard. Grow in low altitude to 700 m dpl. The plant is used throughout the plant. Sambiloto have chemical contents: Andrografin; Andrografoloid; Paniculin. nutritious as Anti inflammation; Antipyretic; analgesic; Diuretic; Stomachic; Anti swollen. This plant is quite a lot of property has a known treatment. Has a chemical composition, among others: aloin, barbaloin, isobarbaloin, aloe-emodin, aloenin, aloesin, betabarboloin; resin torch. Has pharmacologic effect as Anti inflammation, laxative (Laxative), parasitiside; Stomachic; Expectorant. 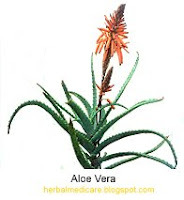 In the pimple treatment, aloevera Sambiloto and act as a deterrent to prevent inflammation and infection, so that the whelk can quickly recover and does not swell more. Hopefully acne will be recovered quickly.